We offer a wide range of rentals in equipment, on location facilities and expendables. Cameras (Alexa ARRI, Epic, Red One, 5D…), HMIs, Profoto, travelling, cranes, tripods… or an impossible-to-get lens. Our lists have it all: tents, chairs, tables, coolers, walkies… A wide range of possibilities, prices and products. We are committed to the production we work in…if we don’t have what you need, we’ll find it for you at a reduced price as we are on very good terms with different rental companies. We offer all kinds of talents, including every race, looks and age. If you think it’s a good idea, we’ll find them for you. We’ll go through the hundreds of people who attend our casting sessions and we’ll find the character or the extra you’re after. We deal with all kinds of casting, whether you’re a commercial, a film or fashion. Logistics and mobility are key to guarantee a production is made in time and budget. Resting and eating well during the shoot will be positive and effective. We want you to feel at home…or even better! We’ll always offer the best accommodation available near the location. Being an international tourist destination, cater for all kind of needs and budgets: luxury hotels, self-catering apartments, etc. Our company has access to a wide range of vehicles: budget small cars, luxury saloons, 4×4, trucks or caravans for actors-, which have been used in our main shoots and meet every production need. We make sure we provide a top catering service with a varied balanced diet, including gluten-free, vegetarian food, and other options. The world at your fingertips, round the corner from Europe. 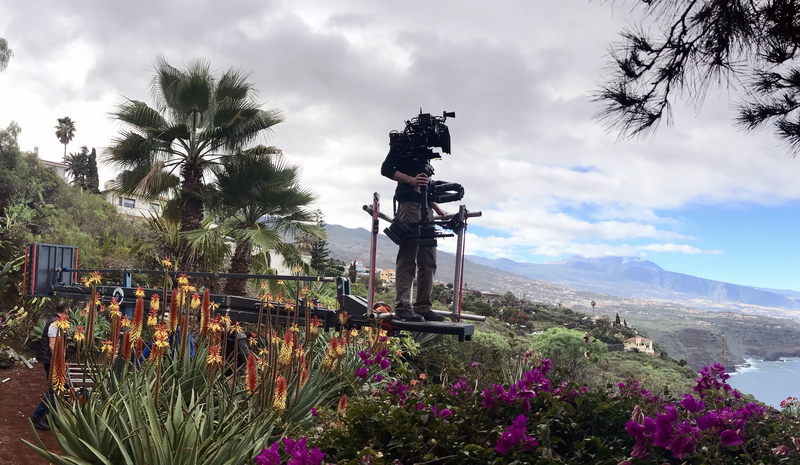 The safe film-friendly Canary Islands are only four hours away from the main European capitals and have excellent air and sea connections. All the continents in seven islands. It’s hard to believe: moonscapes, jungles, endless deserts, huge mountain ranges, seas of dunes…and clouds. Modern architecture and old cobbled streets go hand in hand, by the Atlantic Ocean that washes our black- or white- sanded beaches. An example of this diversity is the fact that the Canaries boast four national parks which have been designated World Heritage by UNESCO, many natural protected areas and Biosphere Reserves. We’ll help you manage every location as well as the necessary permits and documents to shoot so everything will run smoothly and on schedule. We assist from the very beginning on your project in preparing the production, budgeting and planning. After analyzing the script or briefing, we’ll advise you about the best location options at the most reasonable costs. Being cost effective is our goal not reducing artistic achievements.